Foreign Aid as Foreign Policy presents a wide-ranging, thoughtful analysis of the most significant economic-aid program of the 1960s, John F. Kennedy’s Alliance for Progress. Introduced in 1961, the program was a ten-year, multi-billion-dollar foreign-aid commitment to Latin American nations, meant to help promote economic growth and political reform, with the long-term goal of countering Communism in the region. Considering the Alliance for Progress in Chile, Brazil, the Dominican Republic, and Colombia, Jeffrey F. Taffet deftly examines the program’s successes and failures, providing an in-depth discussion of economic aid and foreign policy, showing how policies set in the 1960s are still affecting how the U.S. conducts foreign policy today. 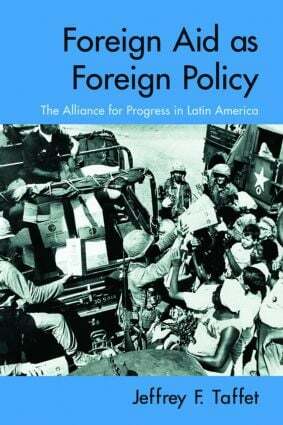 This study adds an important chapter to the history of US-Latin American Relations.